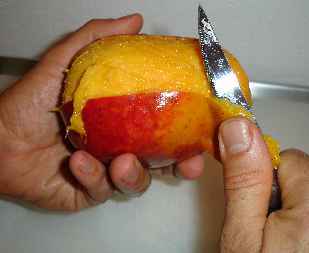 Mangoes may be packed in a syrup or dry: It's up to you which to use. Sugar is added to improve flavor, help stabilize color, and retain the shape of the fruit. 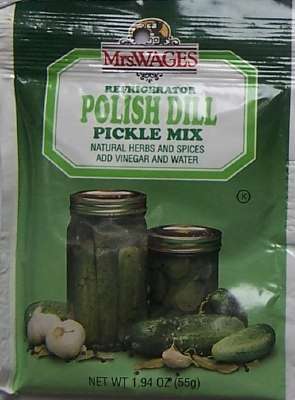 It is not added as a preservative. Sugar solution is much less expensive (unless you have a supply of cheap grape juice), so I usually use a light or medium solution to keep sugar (and the added calories) to a minimum. A medium syrup is what the USDA recommends. 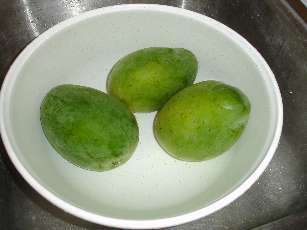 A Syrup Pack is preferred for mangos to be used for uncooked desserts or fruit cocktail. A dry pack is good for pie making. The dry pack can be used any way. The syrup pack methods are less likely to brown or have freezer burn. Arrange slices on a flat pan and freeze. 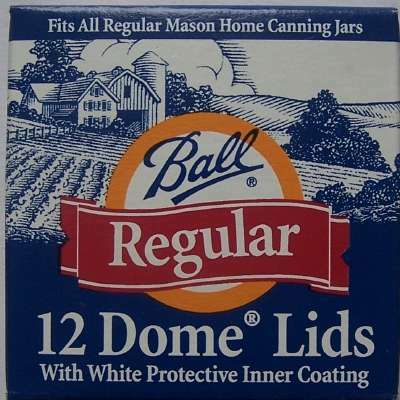 When frozen remove and store in sealed containers. Syrup Pack - Use cold 40 percent syrup. (That is 2 cups of sugar added to every 3 cups of water. ) Of course, you can scale this up or down to suit the amount of mangos you have. To prevent browning, add 1/2 teaspoon (1500 mg) ascorbic acid (also known as "FruitFresh") to each quart of syrup. 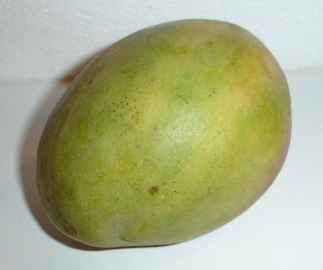 Step 7 - Mix the mangos with the solution or FruitFresh. 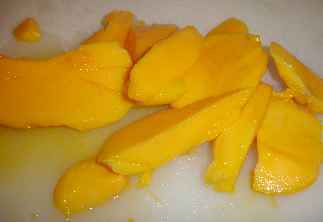 Use a bowl to mix mango slices with the syrup solution. If you are using a dry pack; use either a bowl or a large plastic bag (gallon size ZipLocs work well) to evenly coat the mango slices. Pack the slices into your freezer containers (freezer bags or plastic freezer containers... or glass (but due to risk of breakage, I tend not to use glass in the freezer). 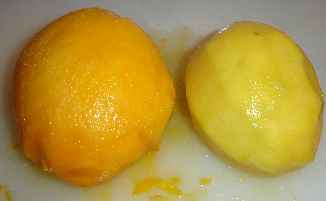 If you are using the dry pack approach, the treated mango slices can also be frozen first on a tray and then packed into containers as soon as they are frozen.